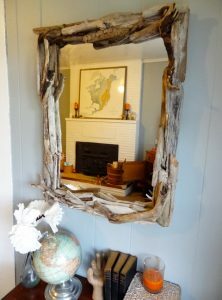 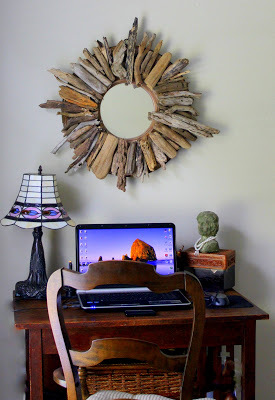 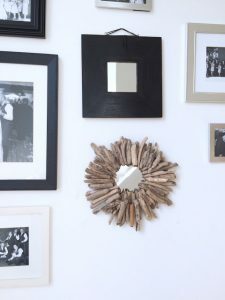 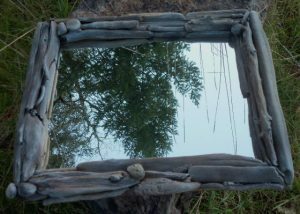 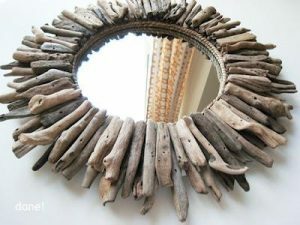 If you have stacks of driftwood lying aimlessly in your store, then sharpen your creative talent and make a host of stylish mirrors out of them. 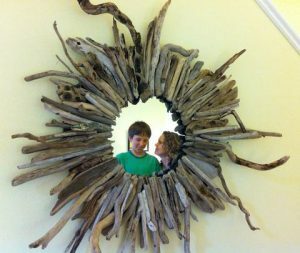 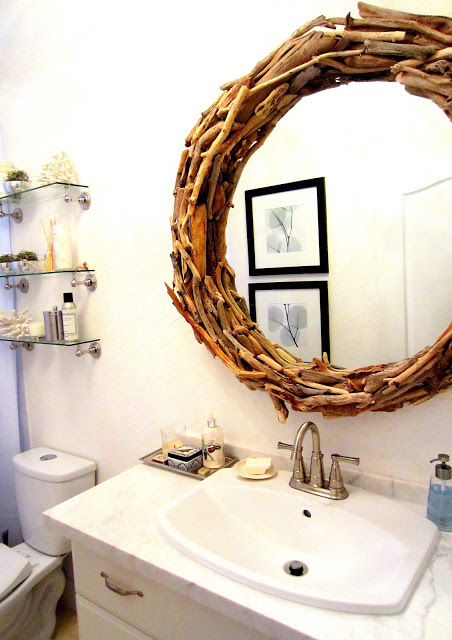 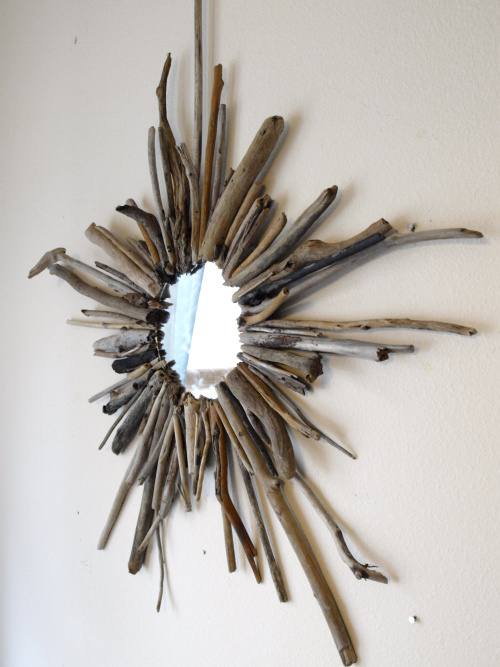 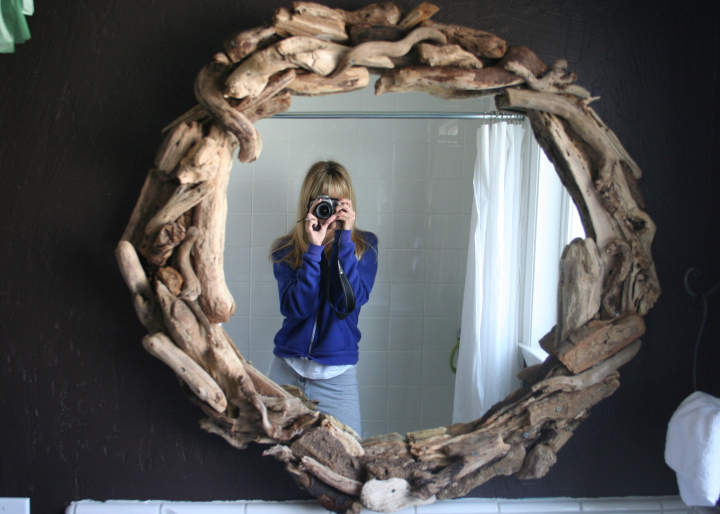 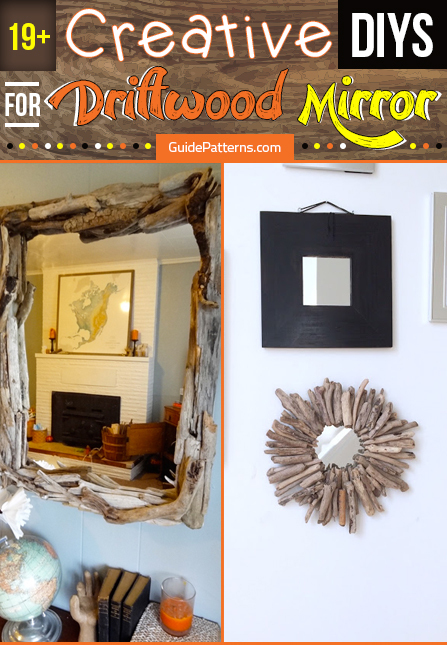 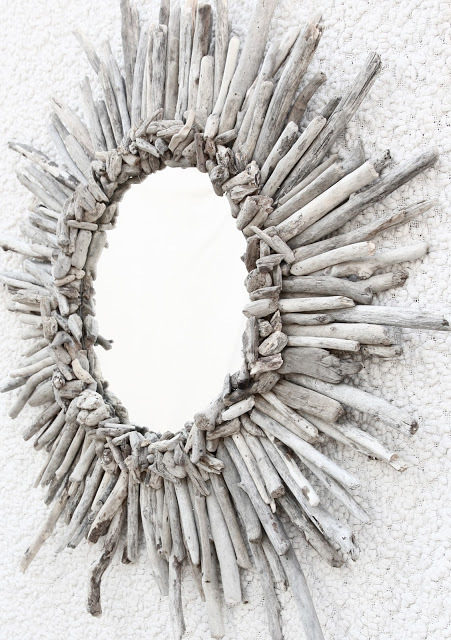 The list of DIYs would make your task of making a driftwood mirror simpler. 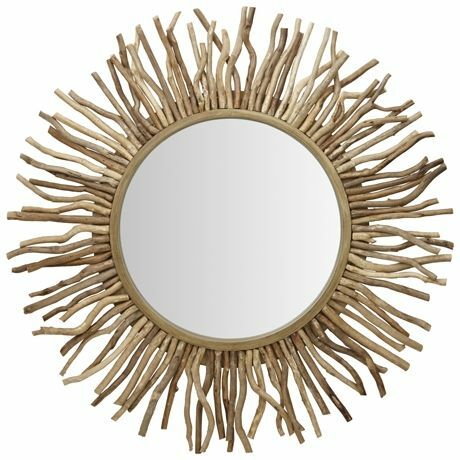 The round mirror would be perfect for your elegant living room. 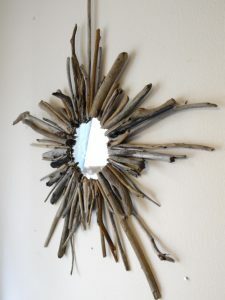 The random arrangement of driftwoods gives the mirror a unique appeal. 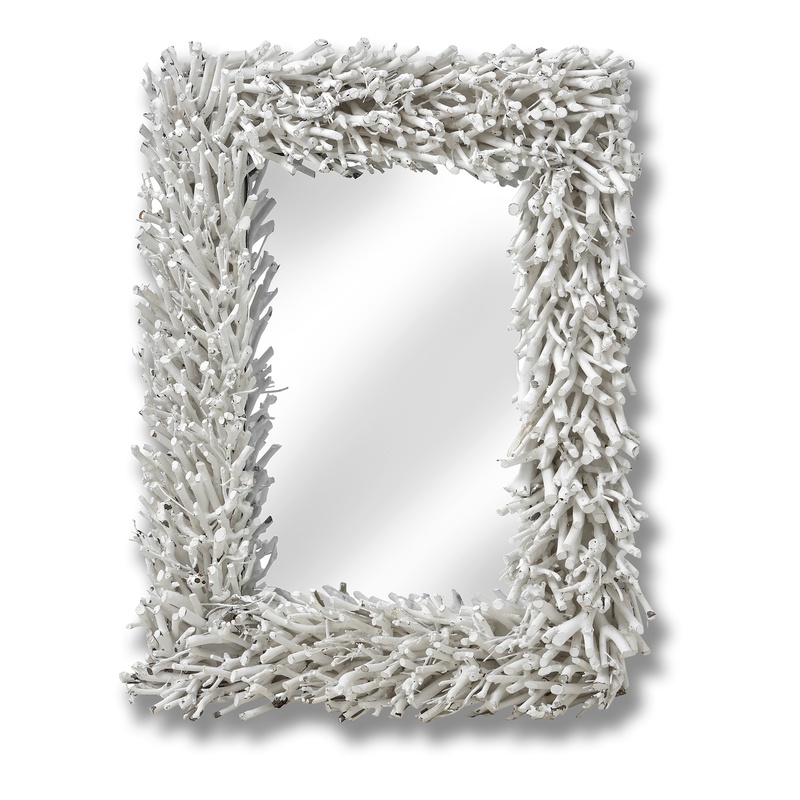 If you have a spacious room, then this big mirror at one corner of the chamber would look indeed grand. 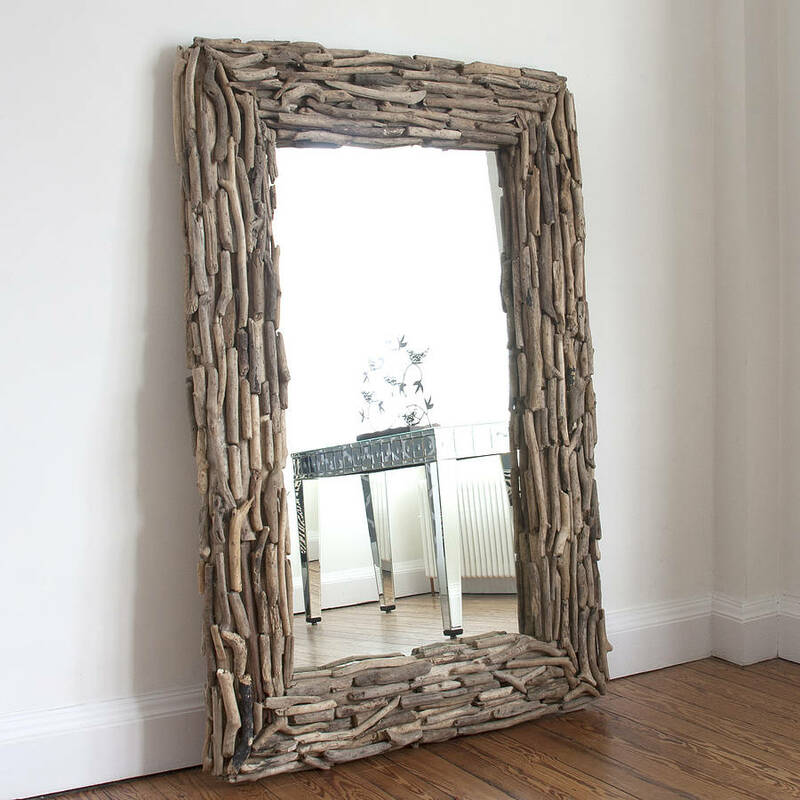 You can even make a longish full length standing mirror for your floor like this one. 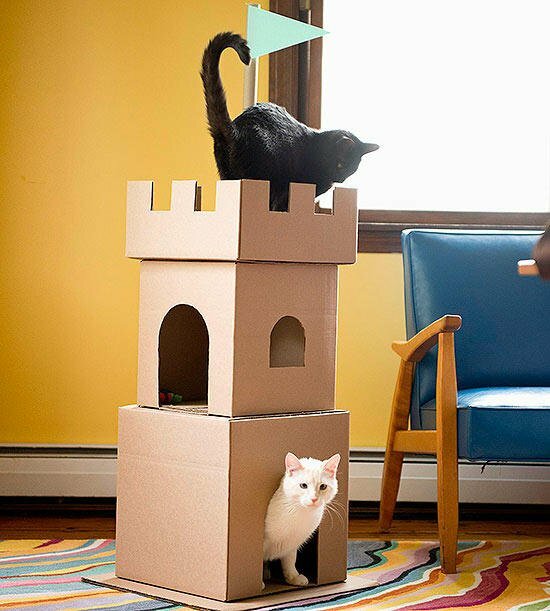 The tutorial would be the same like the one above. 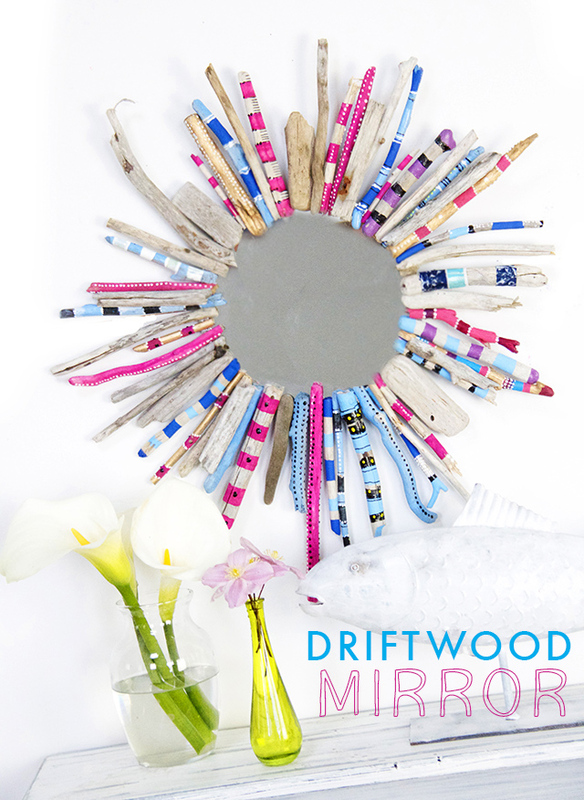 The twisted pattern in which the driftwoods are arranged gives the mirror a modern touch. 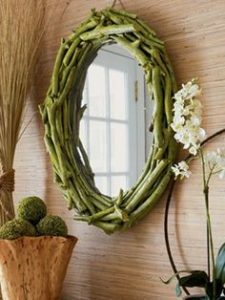 You can also go for a small-sized round mirror by following the similar steps, just decreasing the size. 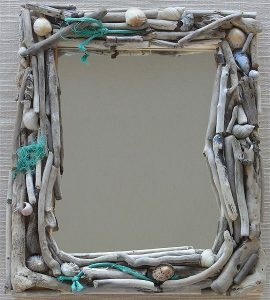 If you want to give your old frame a new look, then all you need to do is to take pieces of driftwood and glue them on the mirror. 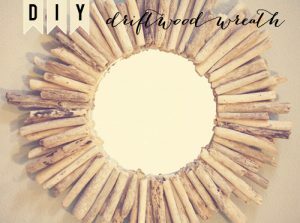 You can shape your driftwoods in the design of your choice. 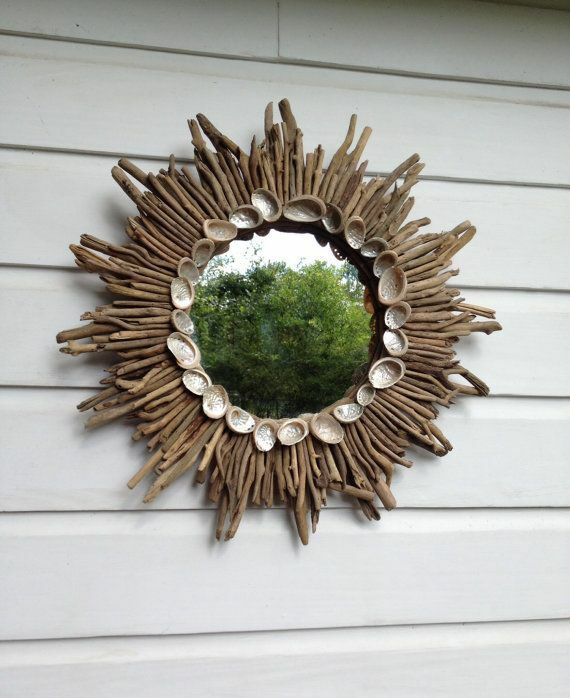 If you have timber frames, you can screw them together to give the impression of a driftwood mirror. 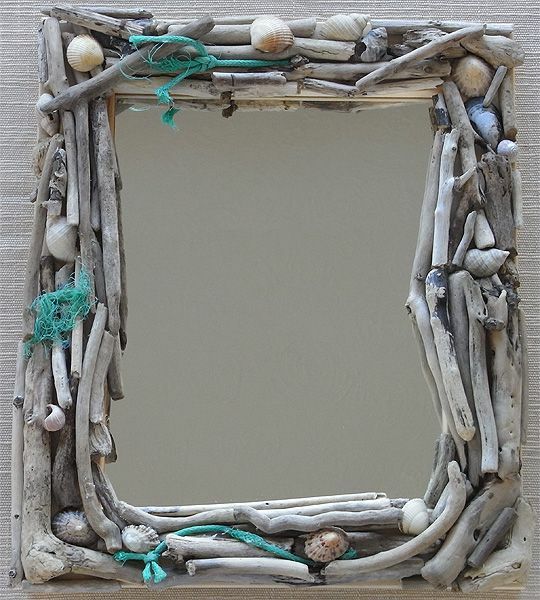 If you want to reminisce your wonderful beach holiday, glue some of the colorful sea shells you have collected to one side of the mirror. 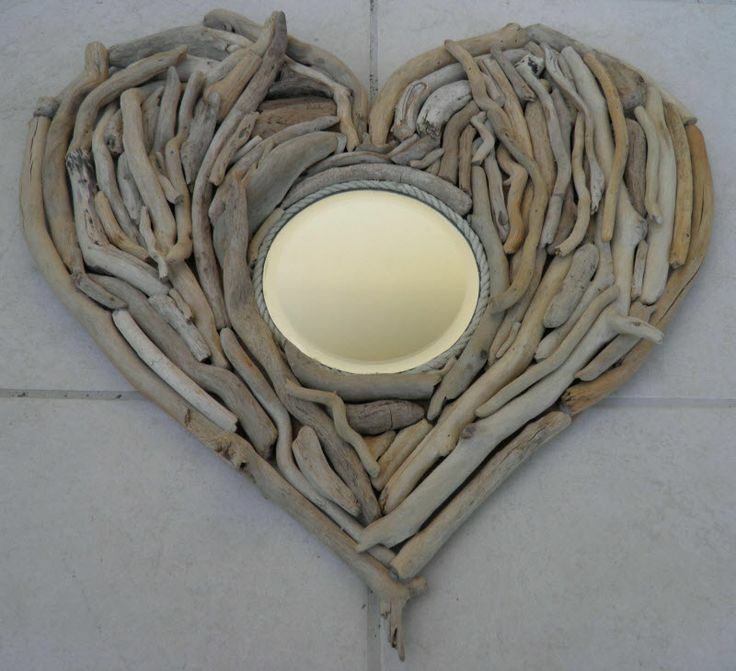 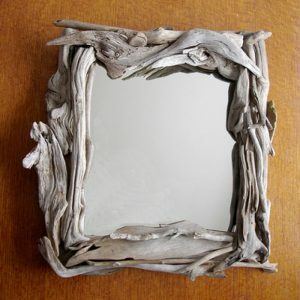 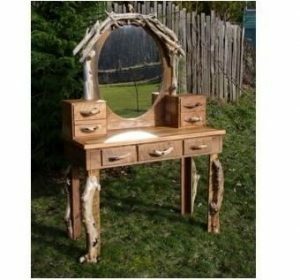 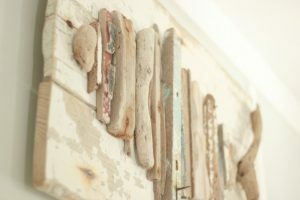 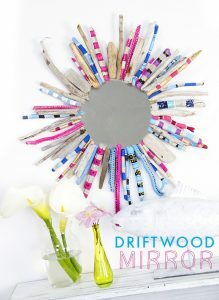 If you wish to give your worn out dressing table mirror a new look, then glue pieces of driftwood on it as shown here. You may even embellish it with seashells or paint the twigs. 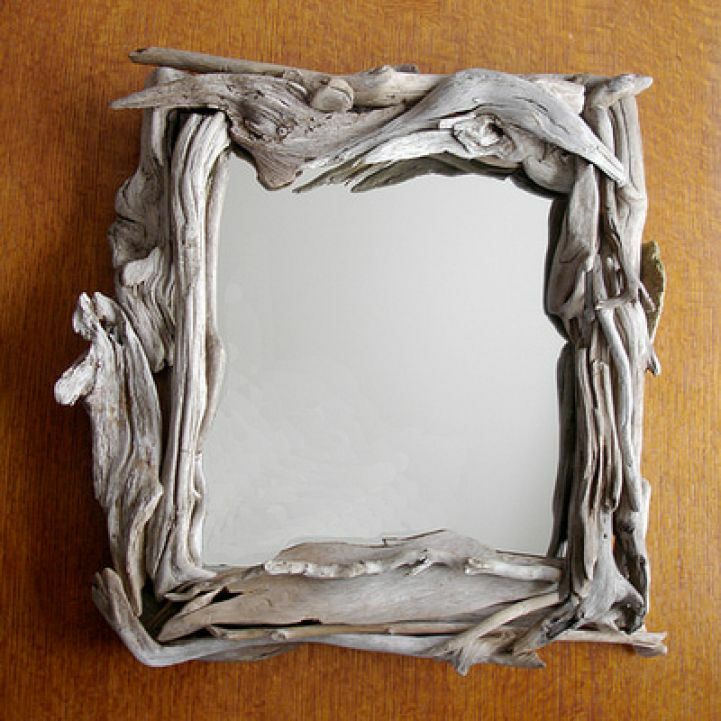 The layered arrangement of driftwoods gives the mirror a chic look. 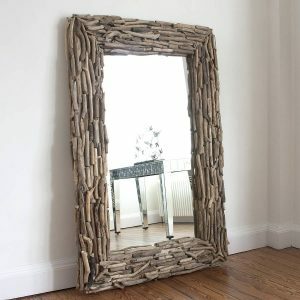 If you have planks as well as boards with twigs just as the one shown in the picture below, you can screw them up to form a gorgeous mirror. 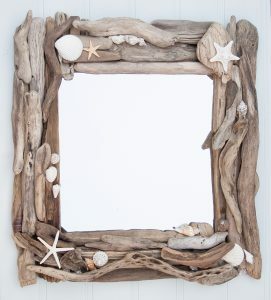 Adding seashells and stones would bring in the sea side feel. The antler style of the mirror adds to its appeal further. You can place the mirror at the center of the wall and stick a collage of family photos on its sides. You can take two to four large driftwood pieces with the remaining being small-sized. 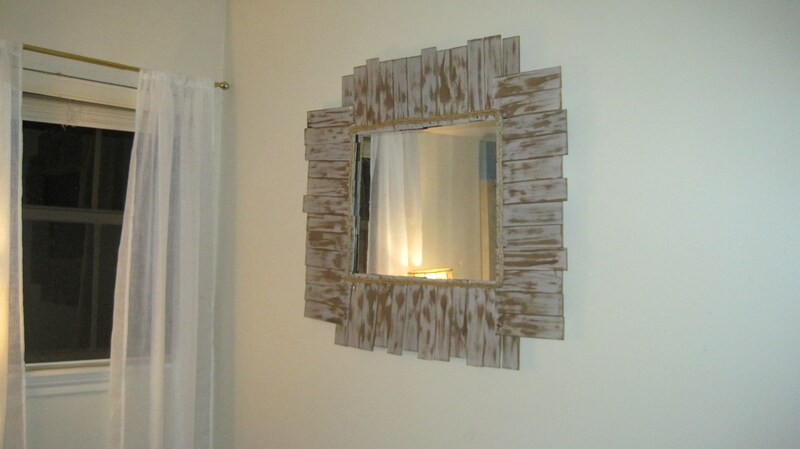 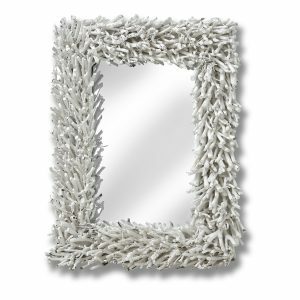 For a rustic appeal, spray paint the mirror in any darker shade of your choice just as the one shown in the image. 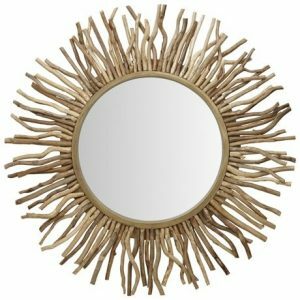 You can consider painting the tips of the sticks in yellow and orange to give an impression of the rays of the blazing sun. 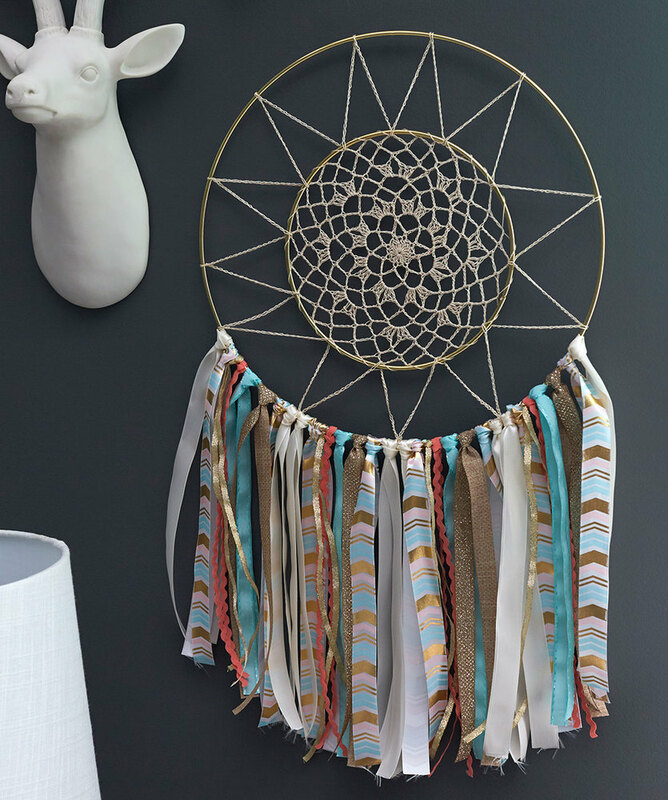 The sea shells on the sunburst pattern make for a gorgeous decoration. Taking a cue from the given tutorial you can get the square shape of the mirror. You may color some of the driftwoods in shades of your choice or even add shells and threads of your choice to create the beach fervor. 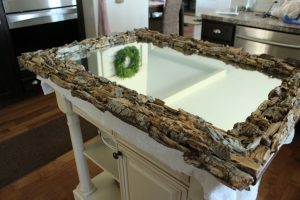 After arranging the driftwood pieces, you can spray paint in white, gray or any other color of your choice for a spectacular effect. If you intend to put it up as a Christmas decoration, then paint the tips in green and red for a festive effect. 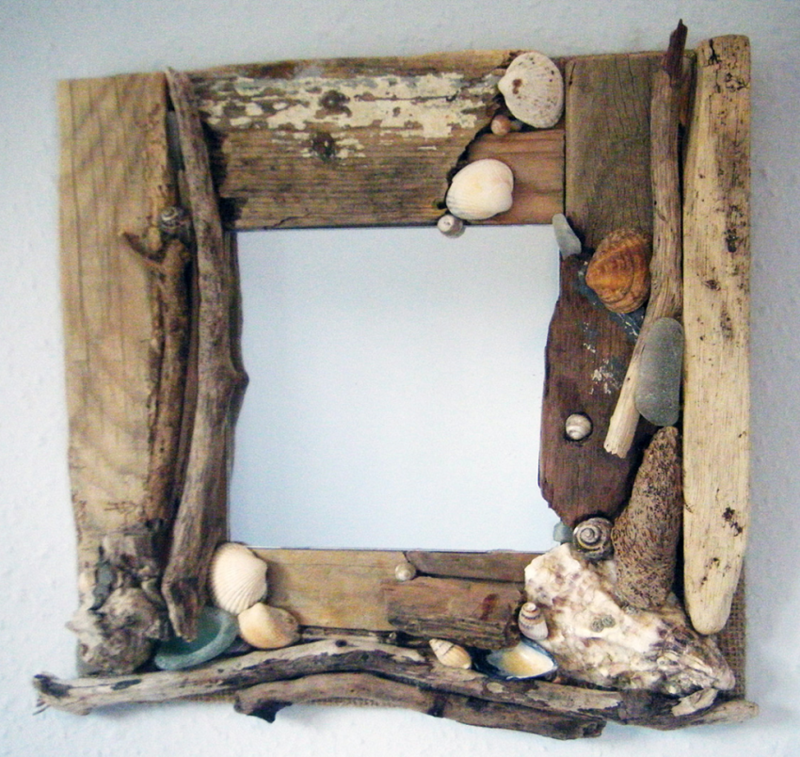 Following the given tutorial you can make a driftwood mirror, where the base in which you would fix the glass should be round. 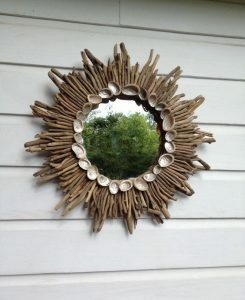 After making the structure, you can just attach a round glass to make it look like a mirror. 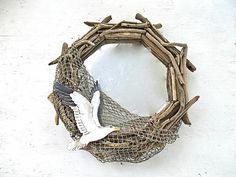 For a nautical effect, you can glue nets, rope pieces or even a faux sea gull on it. 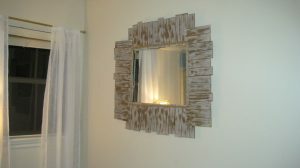 The dark paint applied on it gives it a reclaimed look. You can even add fairy lights around it for a decorative look. You can either arrange the driftwoods in a square pattern or circular as shown in the tutorial. 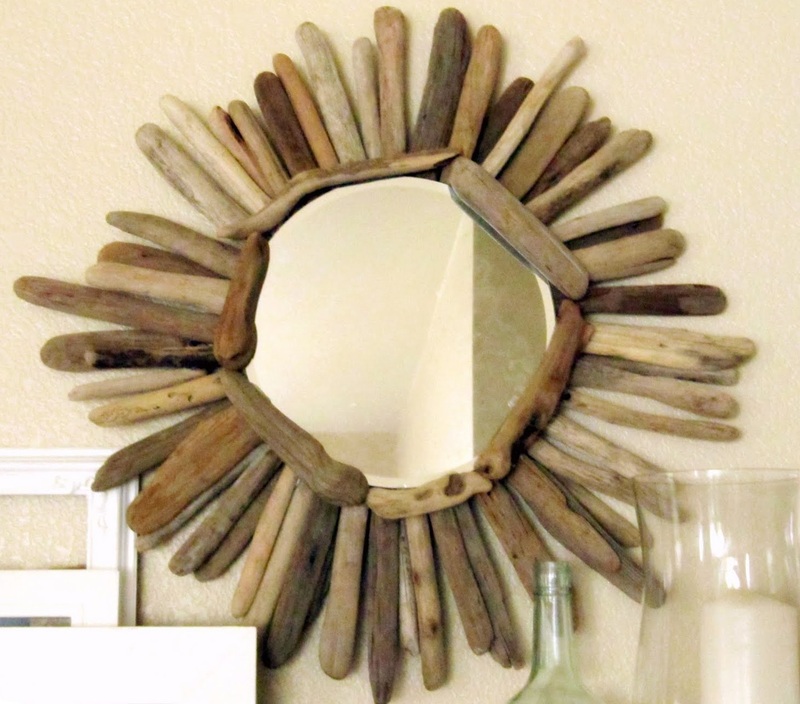 The remaining part would include fixing the shells and other stuff you have in the mirror. Opt for smaller shells as you would be able to glue them on the driftwood conveniently. 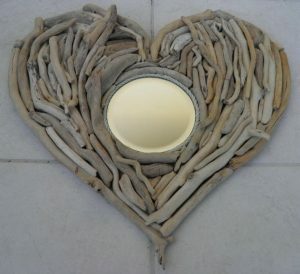 You can make a bigger base so that it may serve as a mirror and candle holder. 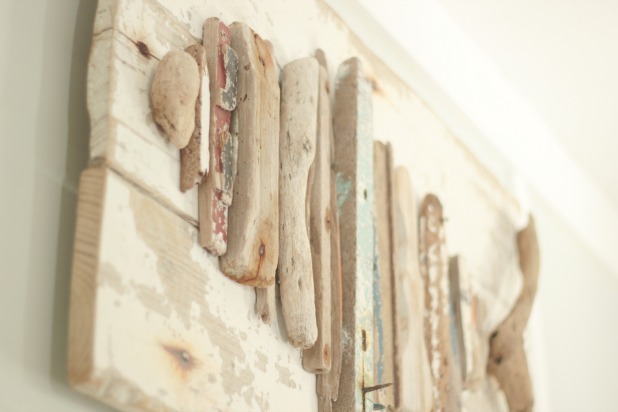 If you are planning a 4th of July decoration, then paint the driftwood in the colors of the American flag. These amazing driftwood mirror designs would only add grace to your living room.